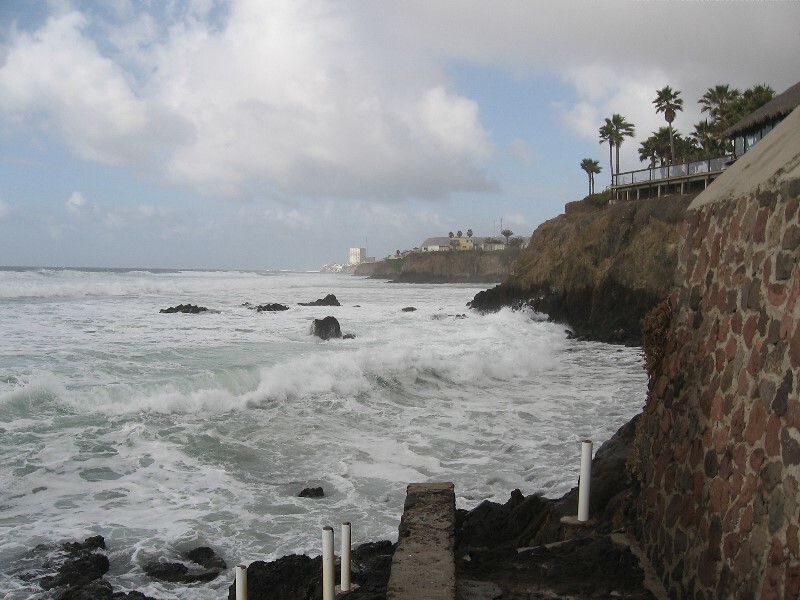 I had booked us into Las Rocas, one of those gringo type hotels between Rosarito & Ensenada. That’s right, it’s just north of Puerto Nuevo the langosta hangout. 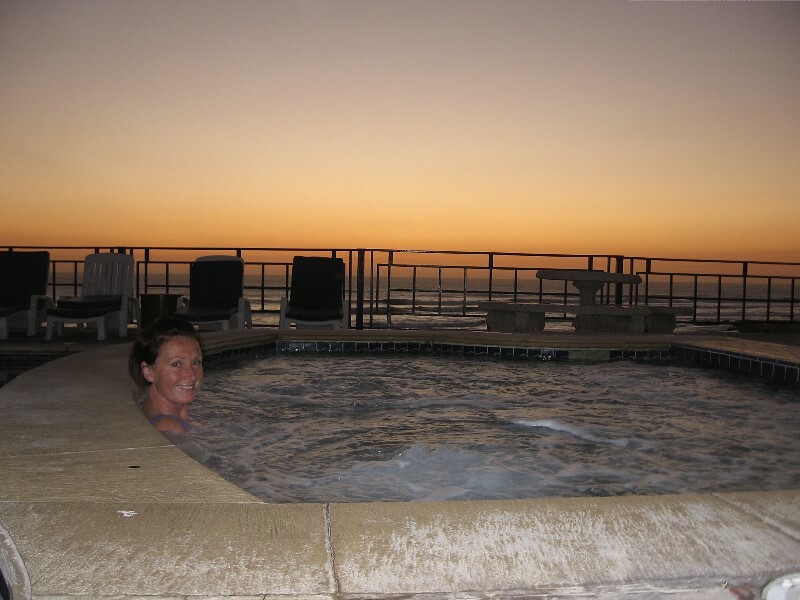 Our routine is to exit LA in the evening, drive down to San Diego where we spend the night before sliding across the border in the morning. We awoke Friday morning to light rain falling which I’m convinced was able to evade all the forecasts I’d perused. Packed up and out onto the 5 south for the last few miles. As usual we cruised into Mexico with no delay but the reverse direction was backed up into the streets of Tijuana, a nightmare for those trying to get into the US for Christmas. Onto the toll road and we drive along the coast with minimal traffic and are able to check in early. We wander down to the rocks and smell the frothed up surf as it gets whipped by the weak storm front that had just passed through. Now we’re hungry and head over to the lobster village. It’s almost devoid of tourists and we get harassed at every shop / restaurant along the way. Based on some internet info we head to ?? and go up two levels to a corner alcove table with a view of the ocean. The place is empty and when I ask if they have lobster omelet they say “No, but tell us what you want we will make it for you”. Needless to say we had lobster omelet & quesadilla with good margarita’s to set the tone for the rest of the day which we slept off while the rain dissipated. Saturday we took the free road into Ensenada and walked the line of tourist paraphernalia one block back from the esplanade. A cruise ship was in port and plenty of passengers were wandering around and most, like us, with their hands in their pockets and only spending pesos on food & drink. We endure this to the point that I just want to bail out and head back to the hotel. 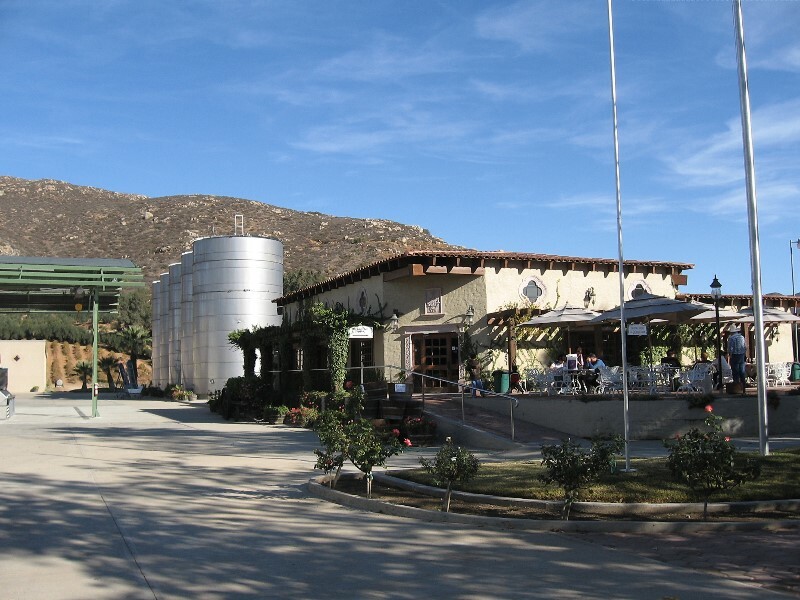 Rose drags me over to the information booth and we find a pamphlet describing the wine producing Valle De Guadalupe along the #3 Tecate road. 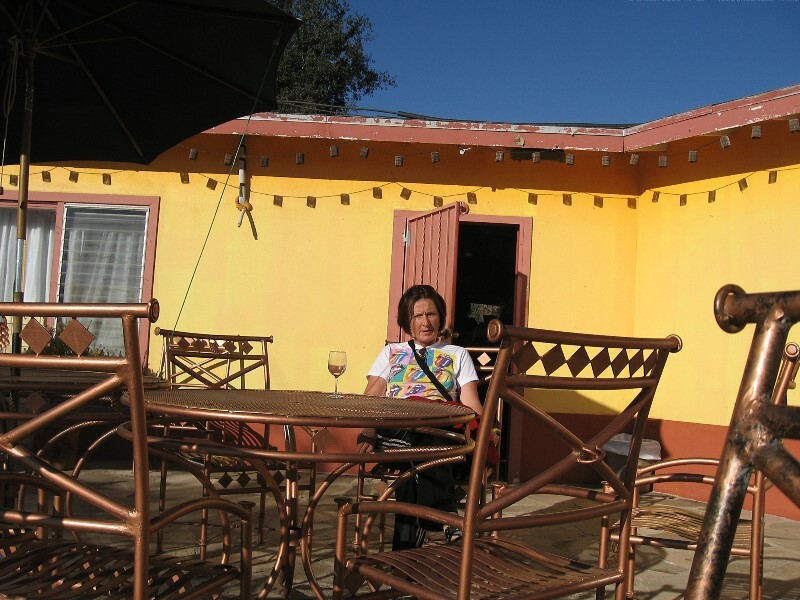 I am somewhat reluctant to head out into the unknown at 2 pm in the afternoon but we do so and happen to find a vineyard tasting room right next to the road. It serves it’s purpose and we buy two bottles of $12 wine to avoid the $4 ea tasting fee. 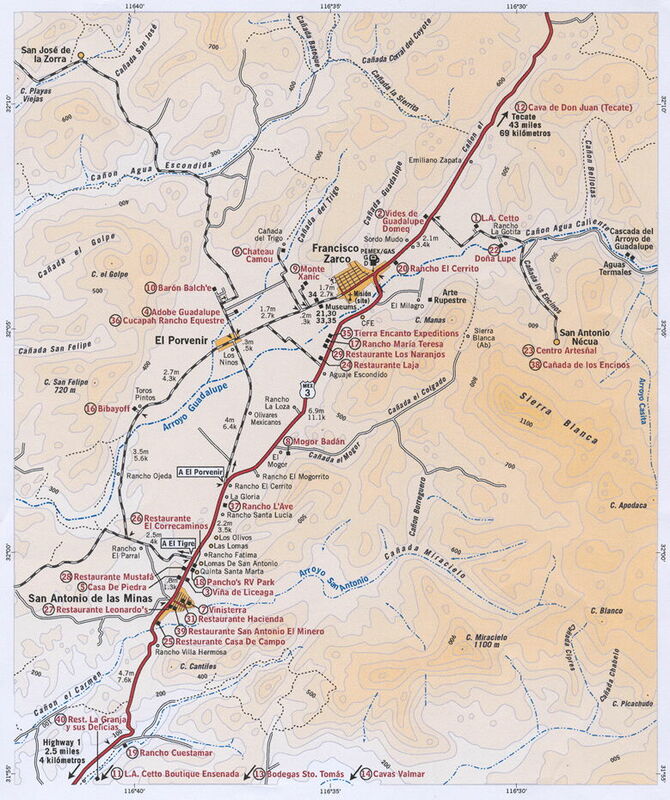 I haul out our little map and ask the lady for suggestions on where to go next. She points out 3 or 4 other wineries and I now have a mission. Next was L.A. Cetto towards the northern end. 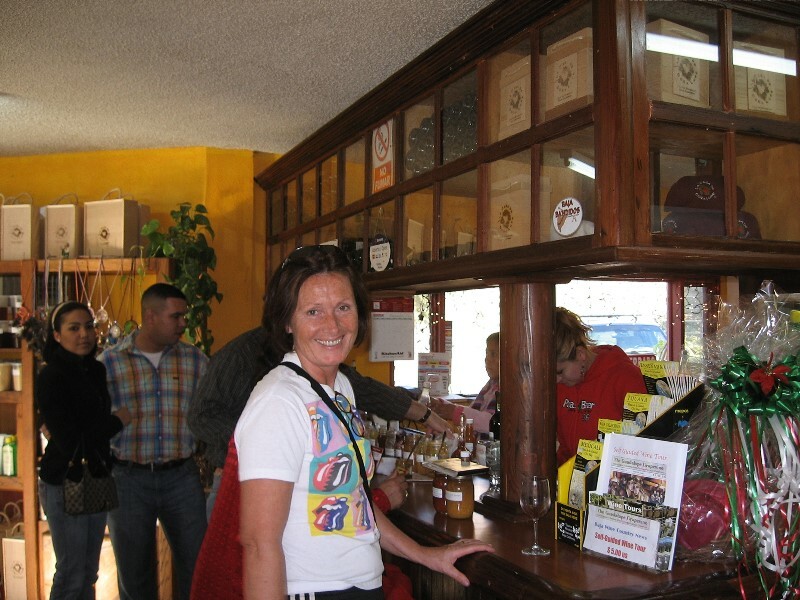 Remember I had tried their petite Shiraz when I was down in La Paz so I knew a bit about them. 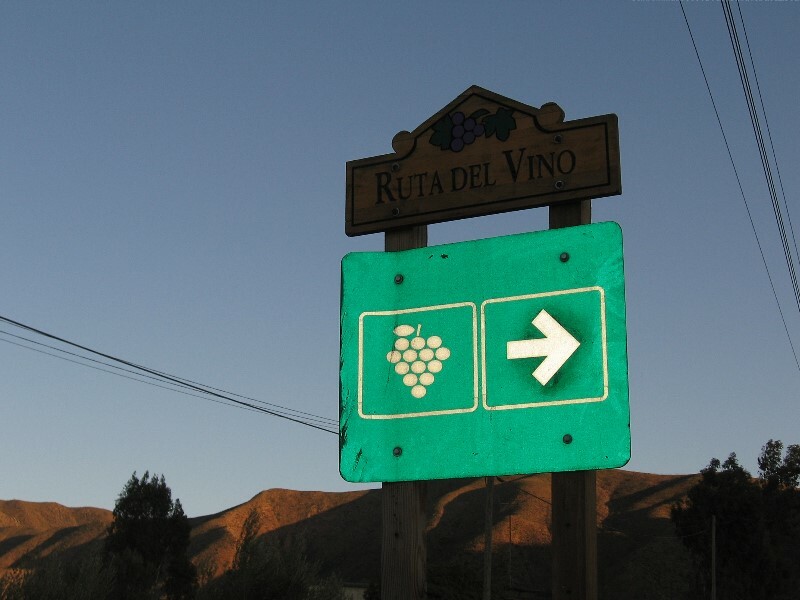 Their turnoff is opposite the large Bodegas winery on your left and you follow a small dirt road to their modern facility. Tasting was free here and we walked away with a number of sub $10 bottles including their sparkling wine which we have yet to taste. Adobe Guadalupe is a small family run place a bit further along the dirt road. They have jam tasting at the counter (Rose liked the guava/pear) and a room full of jams, herbs, etc. Nice boutique ambiance and although their wines are good by our quaffer standards they are not cheap either. We drove back to the main road via the rest of the loop (does this road really go somewhere?) and looked for a trail head to some waterfalls. This is going to take a return visit to sort out. 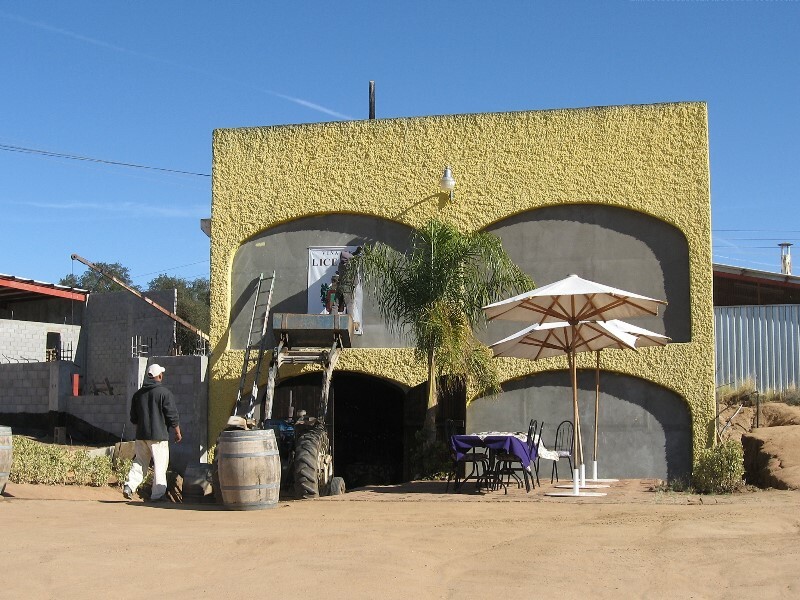 We were now heading back along #3 to Ensenada and looking for a last stop at Vinisterra which was closing at 4 pm. “Through the only paved street, left at the end and follow the signs”. 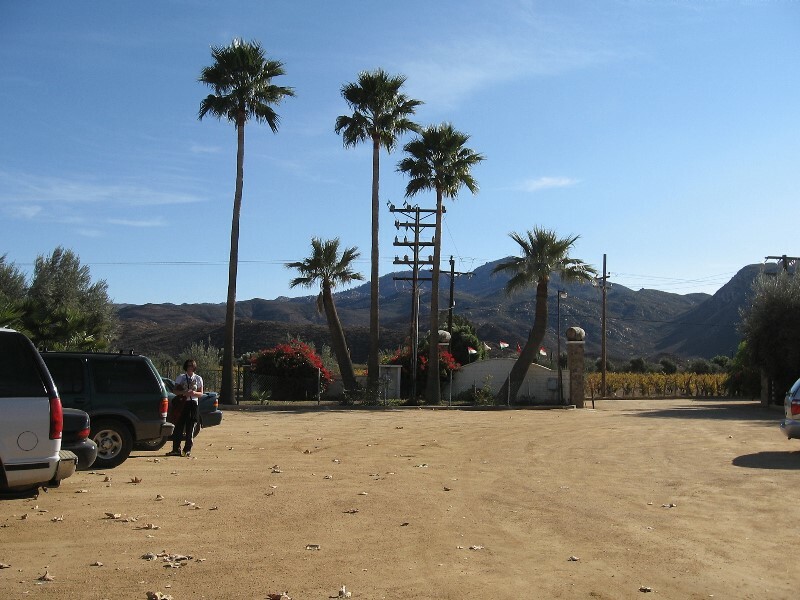 Takes some tenacity to find this new rather upscale boutique winery that bottles wine from grapes harvested elsewhere in the valley. The wife/husband owners were manning the tasting room and we were their last clients of the day. He was from ?? & she ?? as they lifted more $$ from us for tasting ($5), bottle of table wine ($15) and some neat tasting glasses for $4 ea. 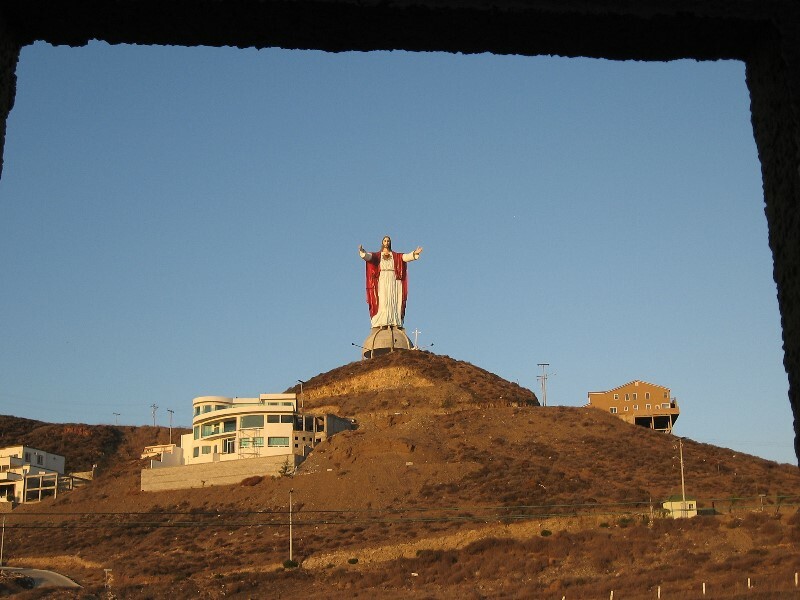 Back to Las Rocas which is hard to miss as there is a 75′ statue of Jesus Christ on the hill overlooking the hotel. We took solace in this and headed down to the jacuzzi for our hedonistic blessing. 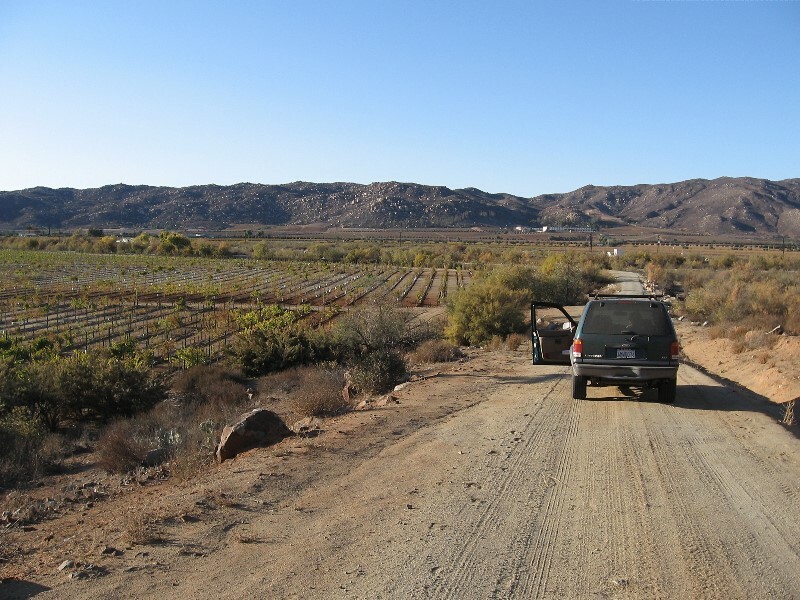 Previous Previous post: My adventure from San Carlos, down to Cabo and uphill to California.